The PERFECT DM101 is an electric vacuum. This unit has a powerful suction. The extra heavy duty cord mounting system is durable. The PERFECT DM101 has a HEPA filtration system and a Hi-Tech fire retardant sound deadening gel for quiet use during daytime or nighttime cleaning. The patented lock stretchable attachment hose is dependable, screw-in fit so hose locks in without fail. The hose stretches from 3 feet to 6 feet. 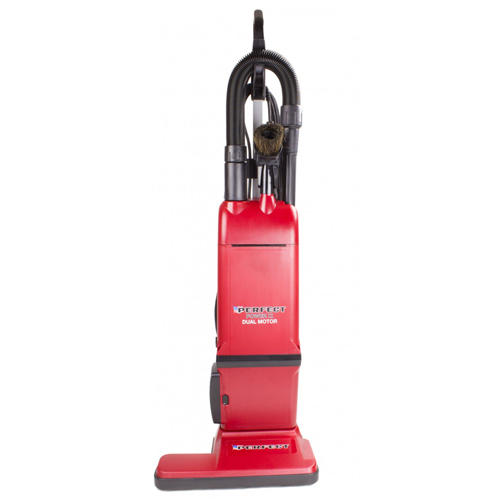 This unit has a self-adjusting head to eliminate operator adjustments during cleaning.